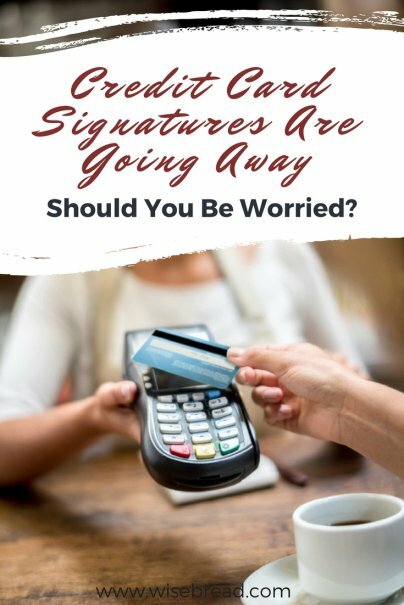 Home » Personal Finance » Credit Cards » Credit Card Signatures Are Going Away — Should You Be Worried? Major credit card companies no longer require consumers to sign for credit card transactions, signaling a day when you can say goodbye to signatures forever. That will eliminate a decadeslong practice. Having consumers sign a credit card receipt was considered the best way to protect against fraudulent purchases for many years. You may even remember the manual credit card machines that made an imprint of the card onto a sheaf of carboned receipts, and asked for a signature on one of the carbon copies. What a novel idea to make a carbon copy of your credit card for all to see! Obviously, we've come a long way since then. Thanks to advances in technology, the way we have kept card details safe has changed dramatically over time. Many authentication methods have been invented and experimented with, such as the magnetic stripe, the PIN, and the CVV and CVV2 security codes. Ultimately though, each of these methods could be stolen or counterfeited — that is, until EMV chip technology came along a few years ago. This type of technology is now considered the gold standard since it uses embedded microprocessor chips to store and protect cardholder data. As most card issuers have added EMV chips to cards, encrypted authentication is now nearly impossible to counterfeit. According to Cyndie Martini, president and CEO of Member Access Pacific, an aggregator of card services for credit unions in the U.S., EMV chip technology has almost eliminated fraud at the point of sale as a result. That's why the major card networks are eliminating the need for signatures at the point of sale. Visa, MasterCard, Discover, and American Express all stopped requiring signatures for in-store purchases in April. The aim of the move is to speed up checkout lines and help you get out of the store faster. Faster checkout lines will make merchants happier, too. Merchants will also benefit because the change may "reduce administrative expense by freeing merchants from keeping all signature receipts and other records," Martini says. Imagine the time and expense involved in keeping track of all those receipts and storing them in case they're needed in the future. All of that will go away with this change, freeing stores to spend their time and resources elsewhere. Walmart and Target have already moved to eliminate signatures for most transactions. Many people have long deemed signatures useless anyway. Most cashiers don't check them and if they're scrawled on an electronic signature pad, they're often illegible. They are, nevertheless, valuable to merchants if a consumer tries to dispute a charge they actually made. Martini says retailers will still be responsible for ensuring the card belongs to the consumer who presents it for a purchase. That's why some retailers may still require you to sign for purchases, especially large ones. Another option is that retailers could ask to see photo identification. Martini also notes that cardholders worried about the lack of signature can write "see I.D." on the back of their cards to increase the odds a cashier will ask. In reality, local shops probably won't stop asking for your signature right away. 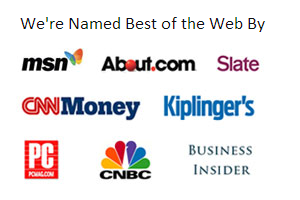 They've got to update their systems and technology, and train salespeople. For all of those reasons, count on scribbling down your signature for a while longer, but also expect that one day, you'll sign your autograph for a purchase for the last time. Don't share your account number on the phone unless you've made the call to them and you're dealing with a reputable company. If you've never done business with a company before or they called you, make sure to research the business thoroughly before trusting them with your credit card number or personal information. Don't carry all your credit cards in your wallet. The FTC notes your losses can be minimized by keeping some of your cards somewhere else if someone steals your wallet or purse. Don't let a cashier or restaurant server take your credit card with them. Make sure to keep an eye on your credit card whenever you make a purchase or pay your bill. Don't let someone leave with your card. Save receipts. Make sure to regularly go over your credit card bill to ensure every purchase is correct and accounted for. Report fraud immediately. If you see a purchase on your credit card bill that you didn't make, call your card issuer right away. Notify your card issuer if you move. Notify your card issuer if you plan to travel so they can note that on your account. Don't write your card numbers down where people may see them. Don't leave other personal details that could be used to steal your identity out, either. Call your card issuer if you realize that your card has been lost or stolen. They can cancel it and send you a new credit card with a new number right away. Finally, Martini says you should notify your card issuer if your credit card doesn't have the new EMV chip technology. While credit card issuers are either on board with the changes or getting there already, there's a chance they haven't gotten around to sending out your new card yet. If you call and ask, they will likely send you a newer version of your existing credit card with the updated safety and encryption features.